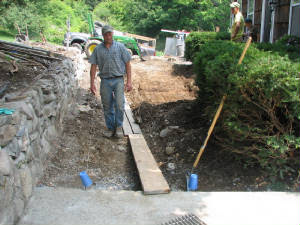 The construction broke through today when Lawrence put in a door between our house and Grandma's addition. 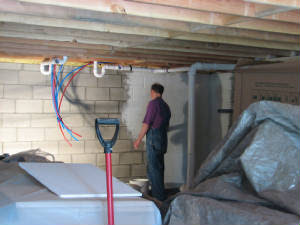 Tom and his brother Sam put sealant on the addition's basement wall. And Isaac continues to prep for the new sidewalk.